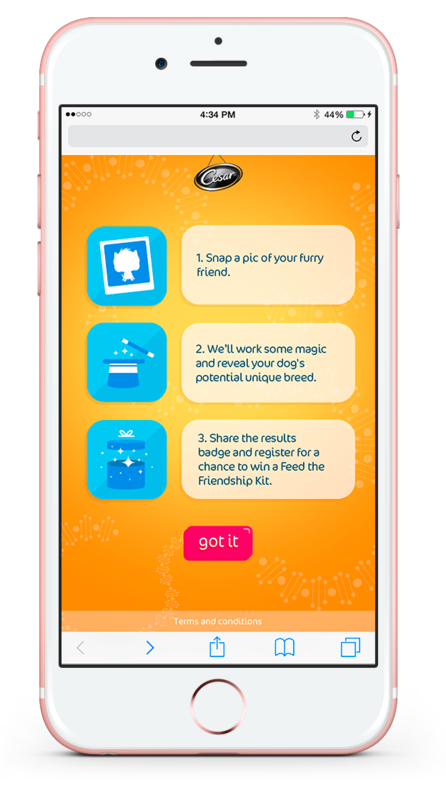 Feed The Friendship is a mobile website developed for the brand Cesar. The website utilises the latest image recognition technology to identify your dog's breed or mixed breed and engage you in a parallax animated story about your breed origin and funny facts. To start you need to take a picture of your dog or upload one. 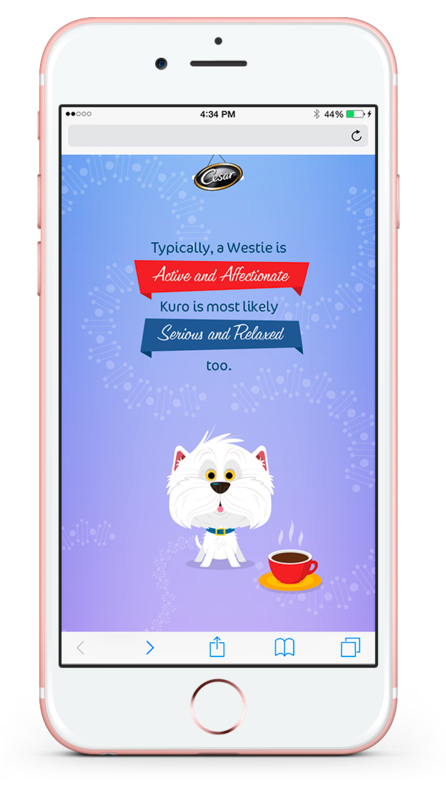 Then type his or her name and wait a few seconds for us to recognise your dog's breed!What follows is a funny story telling covering things from the dog's personality to it's physical characteristics. 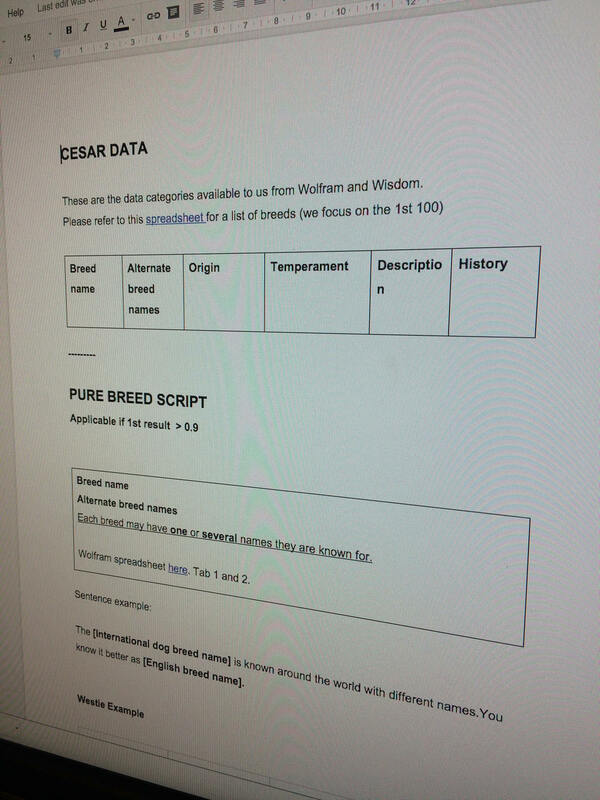 Cesar is launching a set of new dog food flavours and the message is your dog is your best friend so feed him or her the best - Feed The Friendship. But do you really know your dog likes and what he or she likes? Why not let us find that for you. Using image recognition the experience the website is a simple 2 step process - take a picture, type and name and wait. The result is a beautiful animated long scroll animated page telling the story of your dog's breed and its characteristics from personality, to history and physique. We wanted the art to stand out. To support the playfulness of the story and engage users by it's colours, shapes and animations. For that reason we went for vector art with a strong emphasis on the illustrations of each dog breed and it's components like the eyes, ears or tail. The art direction and animations were essential to support the storytelling, and we created a dynamic page that pulled specific assets depending on the dog.